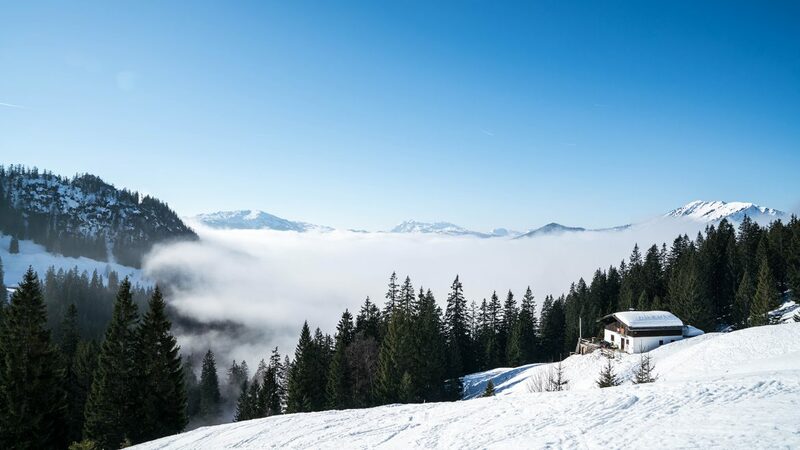 Salzburger Saalachtal in winter shows its most beautiful side - the landscape glitters from the most recent layer of fresh snow, the snow-covered peaks tower above the valleys, and families have a lot of fun in the snow at this time of year. The two Blogger families, ‘Sechs Paar Schuhe’ and ‘Life with Sandy and Benni’, have seen a lot of the world. Since they have been travelling the world with their children, they see things with quite different eyes. Every place and every culture tells its own story. Get on the boards, get ready, go – that’s the motto in the Lofer Alpine World. 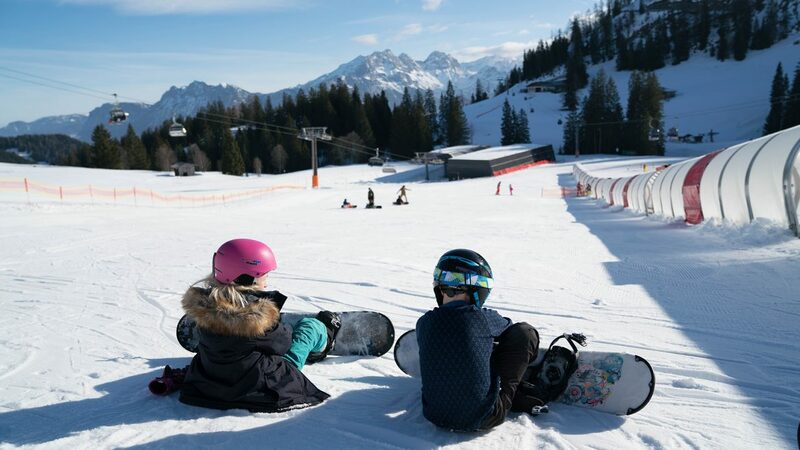 The slopes and offers are specifically made for families. While the kids improve their skiing skills in a supervised ski course, the adults can comfortably carve their turns. And in the many mountain huts, a refreshment stop-off goes exceedingly well. 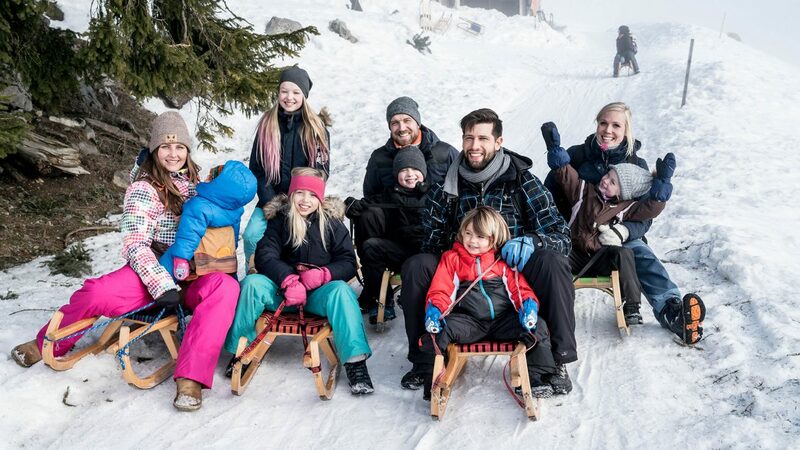 On the rustic Hochalm in the Heu Valley, you can not only eat great food but also enjoy a fun toboggan ride. For about an hour you walk in Zigzags towards the objective, whereby with kids you should plan a little more time. Once at the top, the effort is rewarded with good food and a quick sled ride. You can ride down the slopes not just on sledges, but also on tires in Salzburger Saalachtal. In Waidring, in neighbouring Tirol, you can head down 260 metres on large tires. Not only for children, snow tubing is also real fun for adults as well – and even possible at night on the floodlit track. 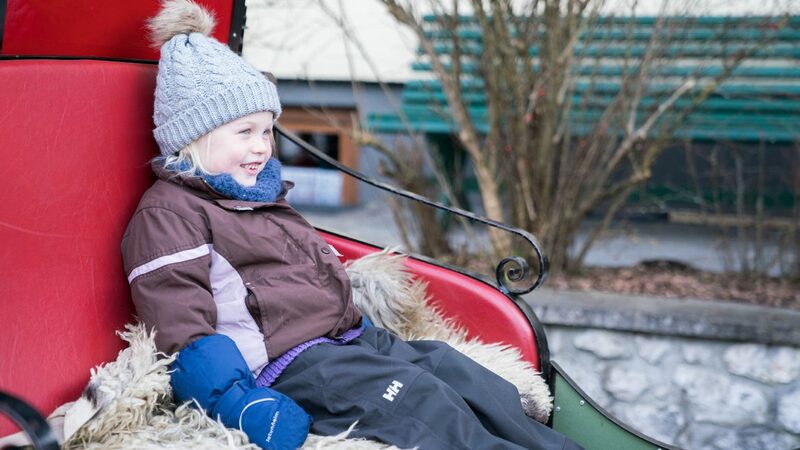 A beautiful fresh-air kick for both young and old is a horse-drawn sleigh ride in Lofer. 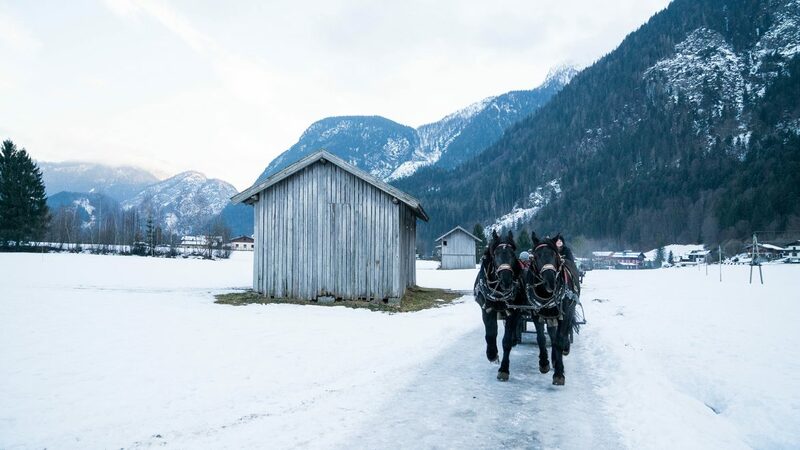 Wrapped up in furry blankets, a horse-drawn sleigh ride takes you through snow-covered valleys – totally peaceful and stress-free. The horses are super for the children and the parents can relax during the journey and rest their souls. Taking part on one of the many curling runs in Salzburger Saalachtal is fun and enjoyable and is the ideal way to learn some special curling tricks from the locals. Everyone can really get into this, no matter whether as a couple or with the whole family. Snowshoeing in Unken takes you right across the wintry landscape. Soft-footed and without real effort, you head where the landscape is almost completely untouched. There are wonderful views of idyllic mountain pastures and panoramic peaks. With Snowshoeing, you do not need any prior experience – you just plod away. You can experience deer up-close at the Knappenstadl restaurant in Lofer. Here, the wild animals are fed in winter, when there is little natural food available to eat. Unfortunately the restaurant is closed but you can still watch animals there. For those who want, you can sledge down from here into the valley. At the Ennsmanngut, you can taste regionality. This farm, where four generations are living, is situated between fruit trees and trout ponds in Unken. In the attached farm shop, smoked and fresh trout, arctic char, goat’s milk products, honey, herbal salts and more are offered. About 20 minutes from Unken by car, on the small German corner in Bad Reichenhall, is located the Rupertus Spa & Family Resort. It’s a family spa because of the many slides providing lots of water fun and different pools suitable for families – with the family pool, training pool, children’s pool and more. Here, every child can just play. A deserved snack can also be eaten in the in-house ‘snack-room’.